Cardi B speaks onstage at the MTV Video Music Awards at Radio City Music Hall on Aug. 20, 2018, in New York. The star took the stage — and took home awards — at the VMAs. Women should not have to choose between motherhood and their careers. You can stand with Cardi B and join us by taking action here to support the UN’s Global Goal for gender equality. Just six weeks after the birth of her daughter, Kulture, American rapper Cardi B not only took the stage to open the MTV Video Music Awards (VMAs) but also took home the award for Best New Artist — squashing rumors that motherhood would kill her music career, reported Glamour. In true Cardi style, she even pranked the crowd by pretending to breastfeed her baby onstage before opening the show. This wasn’t the first time Cardi B responded to critics of her decision to be a mother, Glamour noted. Clearly her fans agree with the progressive attitude toward motherhood. The “Best New Artist” award is one of the few accolades that are fan-given, reported Vibe. “Powered by Taco Bell, fans worldwide were able to tweet for Cardi’s success through hashtag homage,’ according to the report. The artist expressed her gratitude for the honor profusely. Cardi ended the night with a second Moon Person for “Song of the Summer” with “I Like It,” featuring Bad Bunny & J Balvin, as well as “Best Collaboration” for Jennifer Lopez’s “Dinero” featuring DJ Khaled, noted Vibe. 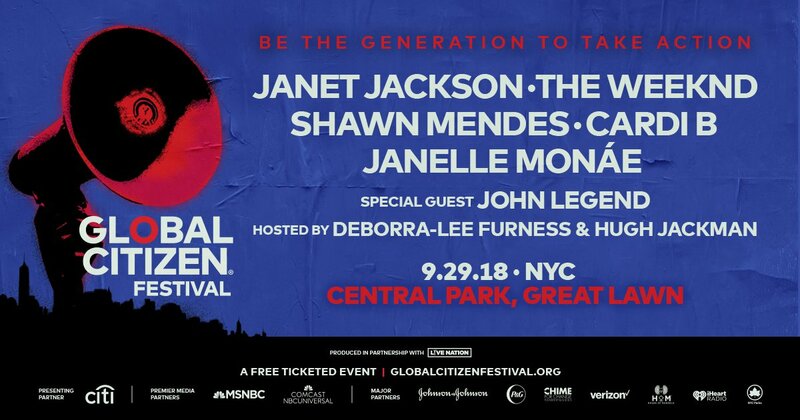 Cardi B will perform in at the 2018 Global Citizen Festival in New York City on Sept. 29. Learn more here.